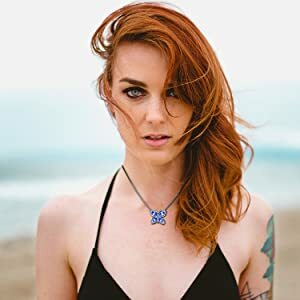 ♥ BUTTERFLY SYMBOL: Known for its lightness , the fluttering of its wings , and especially its metamorphosis from a caterpillar into something more beautiful and powerful , the butterfly symbolizes the soul , reincarnation , resurrection , and femininity . The butterfly symbol dates from ancient times and is found all over the world . ♥ QUARANTEE: 100% satisfaction and money back guarantee . If there are any problems with the purchase , please feel free to contact us , we will help to fix the problem . Show off your romantic side with this stunning Rainbow pendant . Fine Jewellery Should Be Stored In A Clean, Dry Place Away From Direct Sun Exposure And Other Atmospheric Elements. Do Not Store Jewellery Next To Radiators, Windowsills Or In Rooms With Excess Condensation, Such As Bathrooms Or Wet Rooms. Damp And Hot Conditions Can Cause Metals In Jewellery To Discolour, Tarnish Or Erode As Well As Damage Gemstones. Silver, In Particular, Is Susceptible To Tarnishing; Storing Silver Jewellery In Individual, Air-Tight Plastic Bags Can Help Reduce Or Prevent The Effects Of This. Keep All Jewellery In Separate Pouches, Boxes Or Bags To Prevent Pieces Rubbing And Scratching Against One Another. Skin And Hair Products Such As Body Lotions, Perfumes And Creams Can React Adversely With Jewellery Causing Metals To Tarnish And/Or Erode. It Is Advisable To Apply Any Cosmetic Products In Advance Of Putting On Jewellery. In Order To Minimise The Chance Of Damage From Knocks, Scratches Or Sharp Blows, It Is Advisable To Remove All Jewellery When Partaking In Any Physical Or Labour Intensive Activities. Come with a nice gift box, perfect to give as a gift to your special someone. Keep your special pieces safe with our selection of jewellery boxes. Many have different compartments to help you keep earrings, rings and necklaces neat and tidy. This silver polishing cloth is ideal for cleaning all silver and silver plate. DEPHINI is our endless love to all our beloved ones who have given meaning to our life. 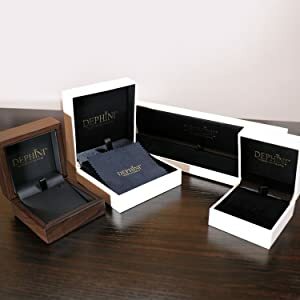 Dephini jewellery represents showing love to our beloved ones and to ourselves packs each jewellery with a deluxe jewellery gift box and cleaning cloth with Dephini logo. Absolutely a great choice for gifts that any lady would enjoy receiving, of course, it's also a great gift for yourself, because every woman deserves to look and feel beautiful. Every woman is an innocent child. They are eager to feel the brilliant and beautiful world. The jewellery itself has no value, but the jewels which can make women shining are priceless! 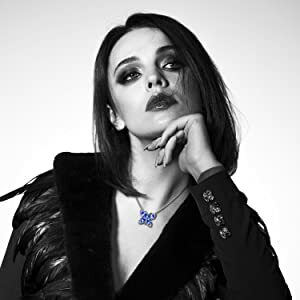 Jewelry makes people remember not only the jewellery itself but also the woman who wears that jewellery.This jewellery widely used on all occasions. 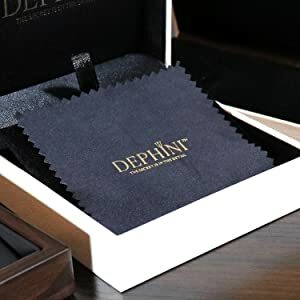 DEPHINI™ is a new Fine Jewellery Brand Focusing on the Design, Quality & Trend.